As the mission of this blog continues to evolve, I’m finding that Gowanus represents, for me, a state of mind, or state of creative struggle. To that end, I’m launching a new project called Mapping Gowanus and enlisting my network of creative artists (writers, musicians, visual artists, filmmakers) to take part in the experiment. 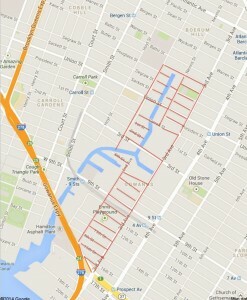 1) I assign each artist a block of Gowanus. (I mean this literally, as in: President Street between 3rd and Nevins, say). 2) The person walks the block, takes it in, hangs out, explores it as much or as little as s/he wants. 3) He or she then has 3 days to make something, inspired by the block. It can be a song, a poem, a one-page scene, prose piece, a photo or series of phot os, a video, drawing, print, watercolor…. as long as it can be posted here. (e.g. no live performances). The idea is that creative sparks can come from any where at any time. And that constraints can spur, rather than hinder, creativity. I’m also very excited to see what the resulting artists’ mapping of Gowanus will be. I am starting with what I call “inner Gowanus” — the tightest neighborhood around the canal. That alone is 82 blocks by my current count. 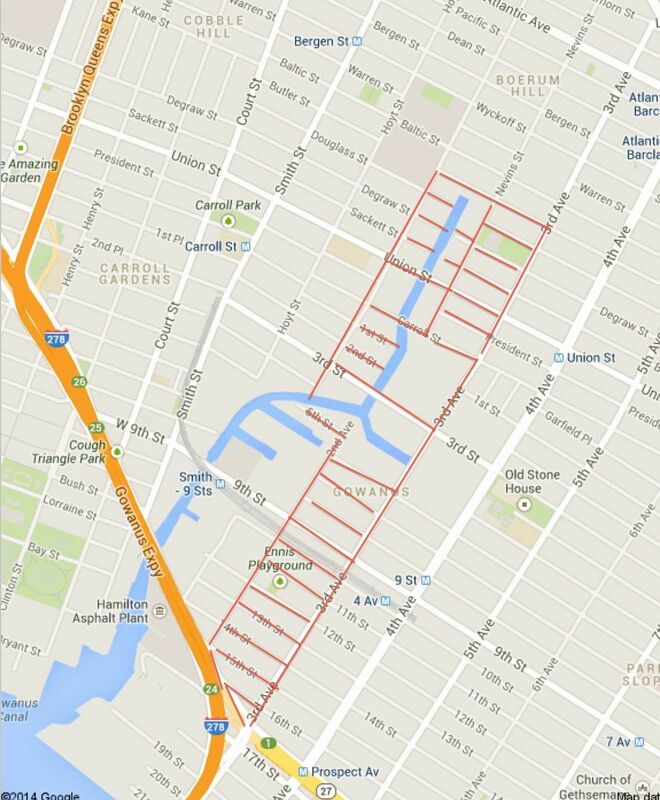 This entry was posted in Mapping Gowanus and tagged Artists, Gowanus, Map on January 24, 2014 by Marin Gazzaniga.